tonkid/ShutterstockLA has staycation options for every kind of traveller. 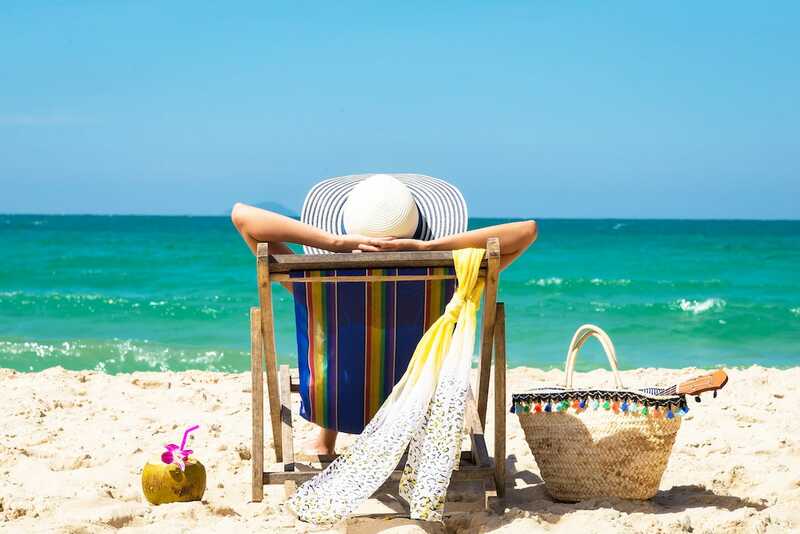 Staycation getaways are perfect for vacationers looking to save money and time while still having a “getaway” experience. Despite Los Angeles’ perfect summer weather and beautiful beaches, you may be interested in a quick weekend break from the city. LA has staycation options for every kind of traveller, whether you’re seeking an adventurous hike or a trip to a luxurious resort and spa. Here are five LA staycation getaways you need to try this summer. One of my favourite things to do in Los Angeles is spend a weekend in a neighbourhood I don’t live in. Though I’ve been in LA for more than four years and currently live in Los Feliz, I still feel like there’s so much of the city I haven’t had the chance to see. Even though it’s forever sunny inLA, the working grind, smoggy air, andbumper-to-bumper trafficcan get to me. Sometimes you need a change of scenery and a break from work – especially during the summer, when half your office is on vacation. Even if you’re working your dream job and enjoying summer Fridays, things at work can start to feel a little drab. Enter: theLAstaycation. It’s a way to fall back in love with the city and go into fullvacationmode without using any vacation days (or booking a plane ticket). Interest in staycations seem to be on the rise. Between 2012 and 2017, Google searches for the word “staycation” increased steadily year over year, according to Google Trends. Searches peak in the summertime, when people want to be sipping cocktails by a pool, but can’t necessarily afford to do so in the Cayman Islands. In 2015,Millennials reported taking three staycations in the past year, according to the USA Today. LA is such a versatile city that there are staycation options for every kind of traveller – whether you’refrugal, looking for aluxury excursion, a laze-by-the-pool type, or would much rather be hiking in the wilderness. 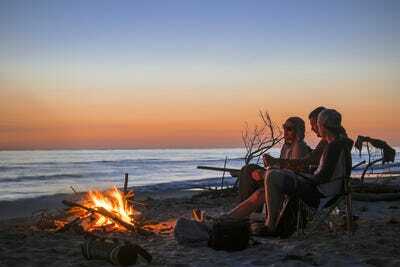 Janis Eglins/ShutterstockTake in a sunset by the fire in Malibu. That’s right, you can legitimately camp at some of the beaches in Malibu. There’s nothing like taking in a sunset in Malibu, staying the night, and then watching the sun rise the next morning. 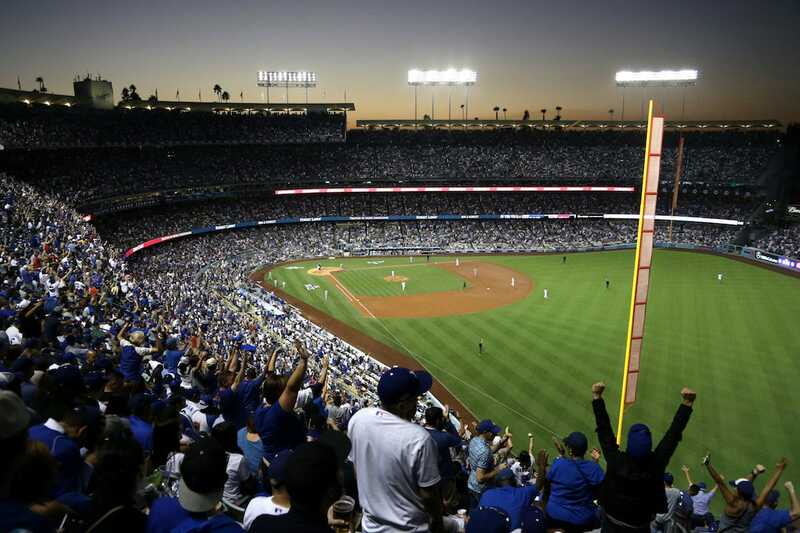 You get all the benefits of a luxury view for a fraction of the price. To keep your costs down, grocery shop on your way up and pack a cooler with most of the food you’ll need. You don’t even need to sleep in a tent – just put your sleeping bag on the beach and fall asleep to the sounds of the ocean. If you’re looking for a hike during the day, I recently hiked Point Dume Nature Preserve, which was lowkey but yielded some stunning coastline views. For something more intense, try the hike to Escondido Falls. 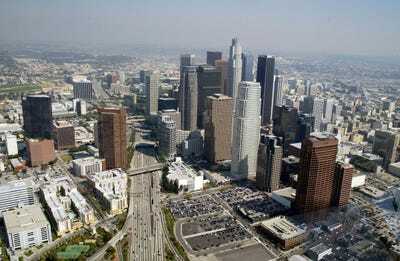 Frazer Harrison/Getty ImagesDowntown Los Angeles. 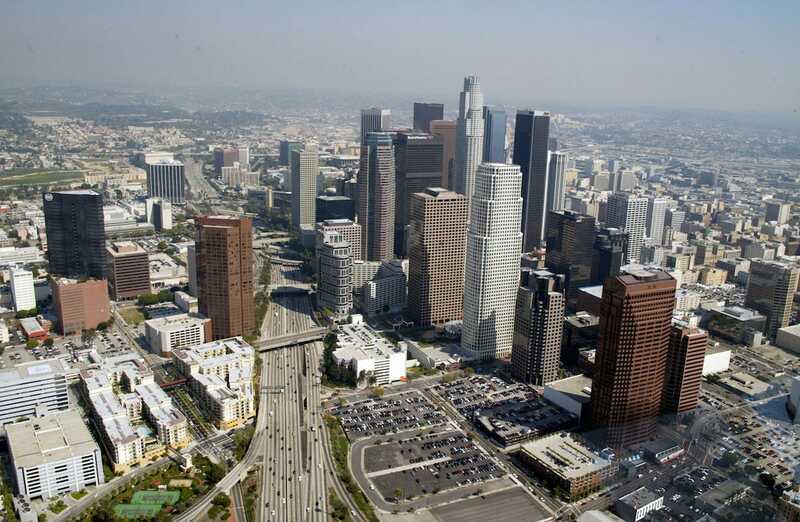 I’m a huge fan of downtown LA, because when you live in a city that’s really just 20 suburbs strung together, it somehow feels exciting to be surrounded by tall buildings and the bustle of downtown. Stay at theHotel Indigo, where you might learn quite a bit about the city you thought you knew so well. The hotel partnered withCartwheel Artto offer an “Underground LA” tour that explores downtown the city’s Prohibition-era underground tunnels and speakeasies. While you’re downtown, have lunch at Grand Central Market, a beer (or two) atMikkeller, and an inventive Mexican meal atBroken Spanish. Bruce Bennett/Getty ImagesA surfer riding waves in Venice Beach, Calif. There is no better aesthetic, in my opinion, than a Venice Beach bungalow. Rent one along the Venice canals and treat yourself to a glorious beach day – and maybe even a surf lesson. Orrent fat-tire bikesfor a ride along the strand. Enjoy a meal at sprawling bakery/deliGjusta, where the bustling and picturesque outdoor patio truly feels like taking a holiday in and of itself. Jeff Gross/Getty ImagesDodger Stadium in Los Angeles. Make sure your Airbnb has a kitchen, so you can cook up local veggies from the theSilver Lake Farmer’s Market, which is open Tuesday afternoons and Saturday mornings. Neal Pritchard Media/ShutterstockEnjoy a cocktail by the pool. If you didn’t take a picture at a chic pool, did you even have an LA staycation? For a lifestyles-of-the-rich-and-famous staycation, I’d recommend staying at theEverly, because their fifth-floor pool is the perfect spot for your gratuitous rooftop pool Instagram. 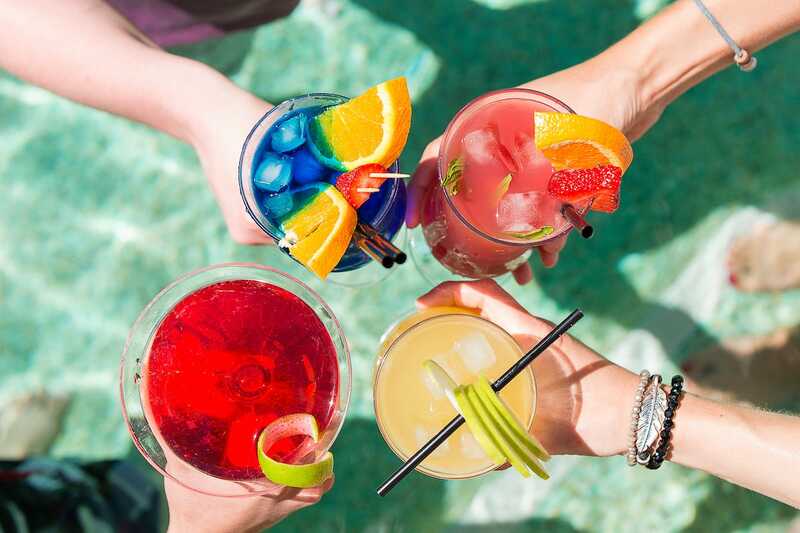 Plus, you can order one of the many craft cocktail options they serve right by the pool. Treat yourself to some shopping alongMelrose Avenuein West Hollywood, and maybe take in a show at theHollywood Pantagestheatre.